The capital of Kansas is Topeka, the largest city is Wichita, and the largest metro area is the Kansas City area, which shares its population across the border with Missouri. Other major cities in the state include Overland Park, Olathe, Lawrence, Shawnee, Manhattan, Lenexa, and more. Many of these cities, as well as other cities throughout Kansas, often host a variety of large events that bring in thousands of visitors. If you are planning one of these events in the state of Kansas, you will want to make sure your event stands out from all the rest. One way to do this is to rent an LED Jumbotron screen. 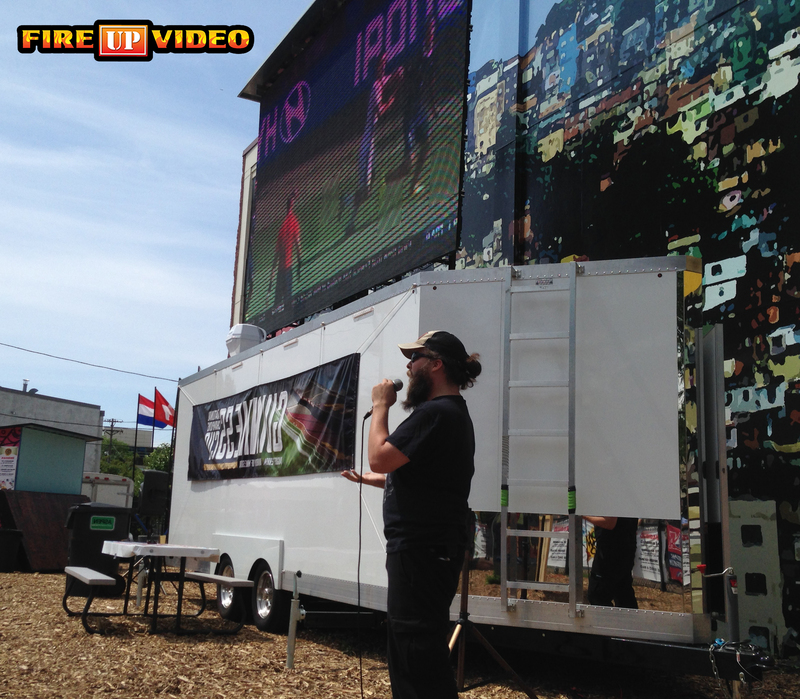 At Fire Up Video, we have a variety of mobile big screen options that fit events of all types, including races, concerts, sporting events, festivals, marathons, college and university events, trade shows, tailgating events, expos, speeches, graduations, non-profit and charity events, parties, and more. Whatever event you could think of that could benefit from any type of visual display on a big screen TV, we can make it happen! Our LED video board screens can be used to play just about any content you can come up with. Whether it is live video from your event, pre-recorded video, DVDs, slideshows, sponsor loops, social media content, announcements, event info, advertisements, or any combination of content you may have, we can make sure this gets displayed to your audience. Any way you choose to use the screen at your event, it always leaves a great impression on guests, sponsors, or both. It is a great way to keep both returning in future years, and make your event more memorable. 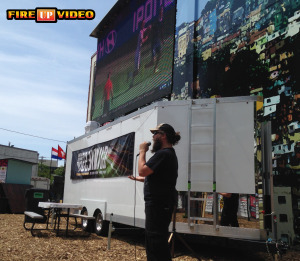 Fire Up Video provides mobile LED video walls for outdoor events in Kanas, as well as other states across the Midwest, such Colorado, Missouri, Iowa, Nebraska, South Dakota, North Dakota, Minnesota, Wisconsin, Illinois, Michigan, Ohio, Indiana, Tennessee, Kentucky, and more. If you have any questions or would like to rent an LED mobile Jumbotron, please contact us at 844-533-8848 or baum3@earthlink.net.